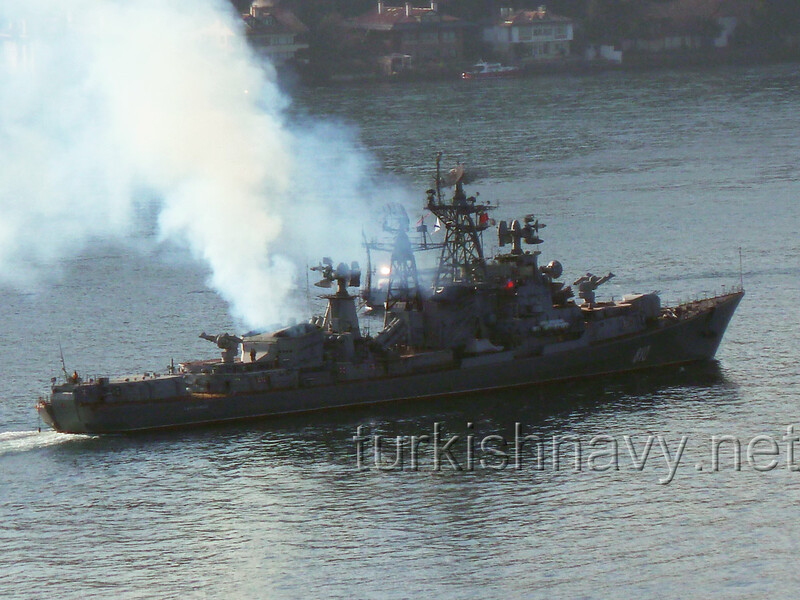 Today two more Russian warships, the Alligator class landing ship 152 Nikolay Filchenkov and the the Kashinin class destroyer 810 Smetlivy passed through the Bosphorus and entered to the Marmara Sea. The ships will pass through the Dardanelles tomorrow. The ships entered to the Strait very late in the evening just before the sun set. I suppose, this late passage might have been done deliberately in order to hide the ships from public eyes. The destroyer Smetlivy passing through the Bosphorus in 2012.